Your Fleet Leader Frost Gets Autographed Pictures! re: Your Fleet Leader Frost Gets Autographed Pictures! Recently at comic-con in the State of New York, FROST@CAPTAIN1982 stood in line to get a gift for the fleet! AUTOGRAPHED PICTURES from Jonathan Frakes and John de Lancie, William T. Riker and Q, from Gene Roddenberry's awesome TV sci-fi, "Star Trek"! 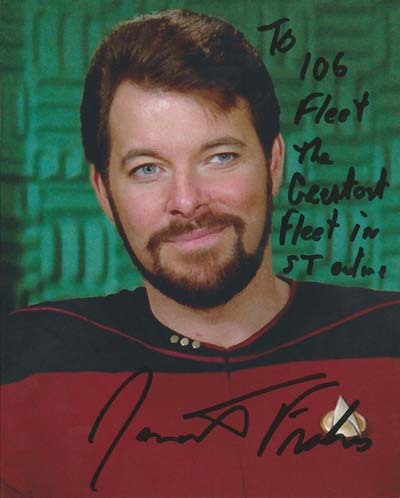 He stood countless hours in each line to meet and greet the stars (and heroes) and got their autograph made out to the fleet. This pictures now reside as a permanent fixture on our homepage for the kind words wrote by these people! 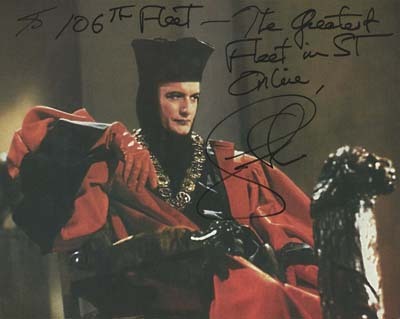 I personally thank Frost, Frakes and de Lancie for this awesome gift to the fleet!